The Peacock Room tells the story of Jonis and Lizzy: a young man with a mysterious medical condition that causes one leg to grow far too long, and the frustrated musical savant who falls in love with him. In the small college city of Ithaca, New York, the two encounter a strange and endearing cast of offbeat characters, most notably a woman who considers herself a reincarnated peacock, as they explore the impossibly complex issues of life: What is the nature of our identity, the uniqueness that makes each of us who we are? What does it mean to transform? How can we reckon with the holding and releasing required of us in this life? With The Peacock Room, Catie Jarvis captures the inner world of her blessed, damaged, and always endearing characters with wit and intelligence. Fans of John Green will be drawn to Jarvis's work, but so will devotees of Anne Tyler. This is a strange, satisfying, and terrific first book by a promising young writer. --Tom Barbash, author of Stay Up With Me Nearly every sentence in Catie Jarvis's emotional debut shimmers with beauty, even when evoking moments of quiet sorrow and pain. Ms. Jarvis's writing is exquisite and the compelling narrative she crafts is unforgettable. --Aimee Phan, author of We Should Never Meet Catie Jarvis is an author of fiction, as well as a yoga instructor, a competitive gymnastics coach, and an online writing instructor at Southern New Hampshire University. She received her B.A. in writing from Ithaca College, and her M.F.A. in creative writing from the California College of the Arts. She grew up on a lake in northern New Jersey and now lives by the ocean in Santa Monica, California. 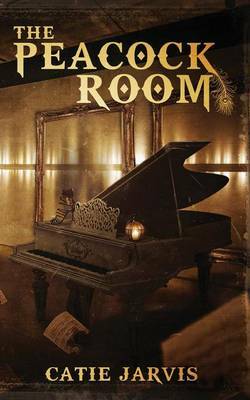 The Peacock Room is her first novel.